Why I gave up my "Holy Grail Lash Routine"
I haven’t wore any mascara or used my beloved “Shu Uemura” lash curler since June!! The reason? I have been obsessed with my LASH EXTENSIONS!! Sadly, while I offer lash extensions to my clients I can’t apply them on myself (can you imagine LOL) I currently get my lashes done with my friend Terri from iCilium! Check out her insta!! (iCilium). Terri is amazing!! She is a talented Certified Advanced Xtreme Lash Stylist with about 8-10 years of experience in the lash industry! I trust her immensely as she always exceeds my satisfaction. I can’t say enough about how much I am in LOVE with my lash extensions!! I been get ready lighting fast these days (and my husband is not complaining!!) Literally, it is a immediate confidence boost! Also not having to deal with coating on mascara, applying false lashes and the act of removing mascara the end of the night, is just amazing!! It has actually simplified my daily makeup routine and life! I get a lot of inquiries and interest about lash extensions! So, I’m here to answer some FAQ. Q:Does it damage your natural lashes? Q: Is it high maintenance? Q: Can i still have a active lifestyle? Q:Can i rub my eyes? A: No, Any additional friction to the extension might cause premature shedding and fallout. Personally, I remove my face makeup first and then use “targeted cleaning tools” to get in the small spaces in between your lash line! Very important to do this as you don’t want build up and debris around you lash line. Q: Can i use the same products that i am using? A: You want to use lash extension safe products! Make sure you don’t use anything with oils in it as it can break down the bond of the extension. No waterproof eye makeup and no lint or cotton. If I missed anything, please comment below and I will answer your lash questions! One more thing! 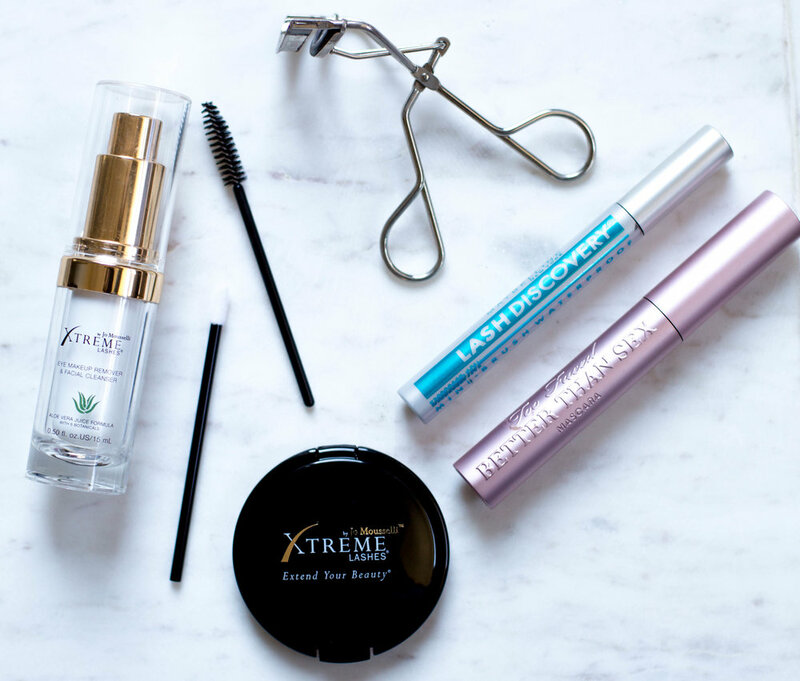 I use and wear Xtreme Lashes! Terri puts X50’s and X90’s Hybrid (classic and volume) 0.15 X 7mm-11mm.